So there has been a raft of changes to the Hilton Honors program. First and foremost the name. Hilton has decided that the double H at the beginning of the Word Honors was unnecessary. Obviously for a long time many people have often wondered why it is essentially named twice. Many assumed that the H stood for Hilton but the program was commonly know as Hilton HHonors, so Hilton Hilton Honors. Well its now gone, and with it the re-branding has begun. New logo, New app and a gradual change and feel to the website is progressing. Along with the re-branding the Hilton Honors program is introducing some big changes scheduled for introduction throughout 2017. These changes are probably the biggest changes to the way the program works in over a decade. Pay with Honors Points and Cash is changing. From 1st of march it will be possible to pay for your stay with any combination of points and money rather than the previous fixed limited Points and cash offering. The principle is rather simple. If the room cash price is $100 per night and the Points reward value is 20,000, it will be possible to pay $50 + 10,000 points, or any combination in between starting at 5000 points. Does this devalue the points? Will the points redemption price change? Well Hilton have assured everyone that whilst the previous category system is going to be phased out you will not pay more in points today than you previously would have done. There is still going to be great redemption’s and poor redemption’s. We do advise with the new system to calculate how much value you are getting per point to make sure you are not wasting your points. Hilton have been very proud of the way this new system is implemented. The new slider, which is rather neat, is how you choose what proportion of money and points you wish to pay. If you want to give it a go, tick the points and money checkbox on the left when choosing a rate and where you see the points and money logo you will be able to play with the amounts via the slider on the payment page. Other changes for 2017 include the ability to pool your points with another Honors member so if you do not have enough for a stay you can pool your points with your friends or family and get your redemption your after. Diamond members will have the ability to pause their membership for the period of twelve months should they feel that they would not be able to maintain it in the current year. This will only be offered to select members who qualify it has to be noted. 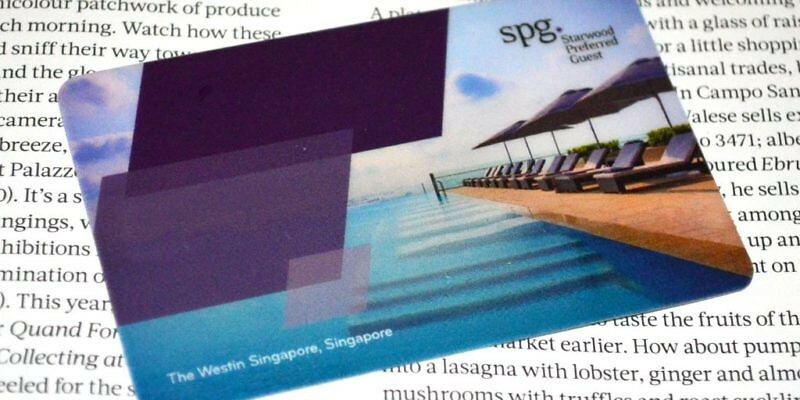 Starwood Preferred guest has recently announced its latest bonus points promotion called SPG More. SPG Members will earn double points on stays during weekdays and triple points during weekend stays. To participate in the promotion SPG members must preregister for the SPG More promotion before the 30th November 2016 and stay between now and the 18th of December 2016. You can preregister for the SPG More promotion here. The SPG More for you promotion is available at participating hotels across all brands globally and is awarded on all booking within the promotion period with no limit to bonus points possible. 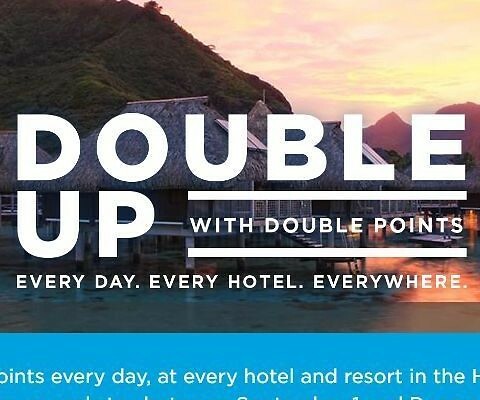 SPG Members will be able to earn double points during the promotion period for stays of two or more nights during weekdays from Sunday through to Thursday nights. Members will be awarded triple points for a weekend stay of two nights or more of which one night must include a Friday or Saturday night. Selected countries in the Middle East will require Thursday or Friday stays for Triple points. Only stays after preregistering will earn bonus points. Bookings made prior to the offer but completed after preregistering will be awarded the bonus. Expect bonus Starpoints to appear in your SPG account within 2-4 weeks of stay completion. Bonus Starpoints will only be awarded on the standard base rate of 2 per US$ and not be awarded on elite bonus points. 2 extra points per US$ under the 2X offer and 4 extra Starpoints under the 3x offer. The offer can be combined with other SPG and Starwood Hotels offers but will be calculated individually. Full terms and conditions of the offer can be found here. Not a Starwood Preferred member yet? Read our guide to discover more. British Airways Current Promotion which runs until the midnight is offering over 200,000 seats with up to 20% off. To coincide with this deal BA are also offering discounts on selected holidays, luxury holidays and beach holidays. All offers are only available on selected departure dates although there seems to be relatively good availability on sale prices at present with exceptional bargains to be found in the holiday sale. The offer claims to have a minimum of 200,000 available, although as with all flight prices as these sell out you can probably expect the prices to creep higher. 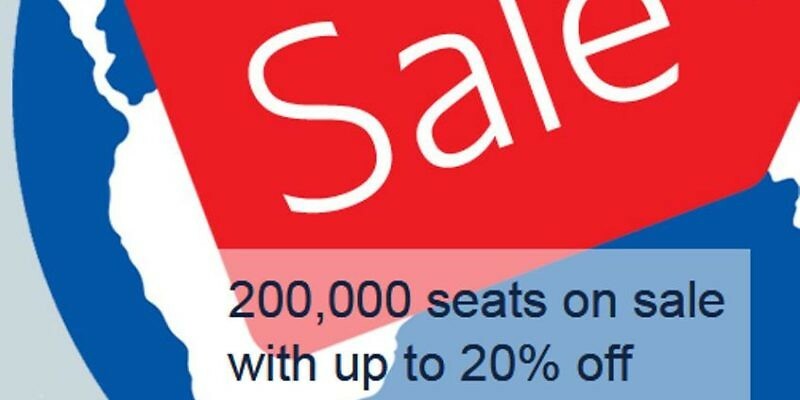 BA itself warns that after the sale, seats may go for less than the current sale price although at present all the routes we have checked do offer a discount over the offered price a few weeks back. It must be noted that the offer only applies to flight originating and returning to the UK. View the BA Sale Page here. 2 Nights in Venice staying at the Centrale Hotel from £93-£95, Price currently available for most departure dates through to march 2017. 2 Nights in Malaga staying at the Adriano Hotel from £94-£111, Departures are limited at this price although several dates per month are currently available. 7 Nights in Barbados staying at the All Seasons Resort Europa from £499 room only, Departure dates are readily available in May – June 2017. All of the prices quoted and availability are as at 5th September 2016. Flights are Economy class unless stated. Link to the BA Sale page is here.